Affiz CPM Video, Interstitial, Banner advertising network details. Founded in 2009 by Jérôme Monsellier and Julien Defaut, Affiz's aimed at providing publishers and mobile apps developers with premium services. Affiz helps publishers sell their inventory and manage the technical integration of quality control and invoicing. 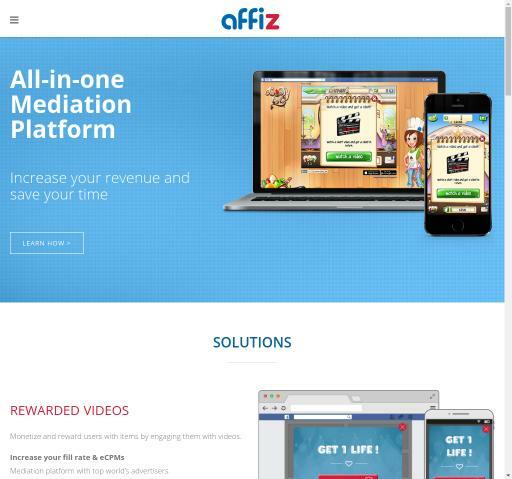 With 1.2 billion impressions, 35 million videos and 240 million unique visitors each month, Affiz is helping more than 50 partners in reaching their goals of advertising. Collaborating with Affiz, advertisers can choose several solutions including rewarded videos, preroll & interstitial videos and display banners to display their ads. Affiz's committed to state-of-art technology along with premium services and availability. You can check Affiz reviews on Affbank and ask Affiz Team any question by using the contacts above, especially about how to earn money!